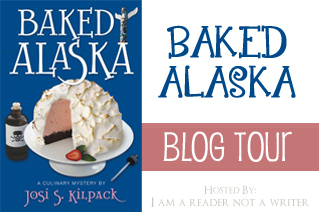 Josi Kilpack's "Baked Alaska" is a literal smorgasbord of interesting characters, winding plot lines, and delicious foodie goodness all rolled into one. 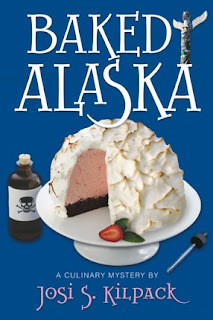 This book was my first experience with Sadie, Shawn, Breanna, and Pete but I was able to fall in love with all of them and found myself swept up in the story from the first page. 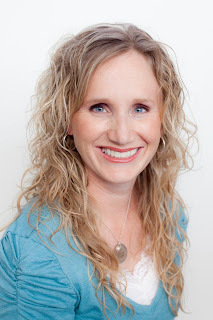 Sadie is a great mother to Shawn and Breanna, and I was very impressed with her level of involvement in their lives. This mystery made great use of all of it's characters in a very new and interesting "all inclusive" way that adds to it's mystery element as well as it's emotional appeal. This book is also written in a "story within a story" plot line format. By doing this the author is able to establish a central story line, while having other related subplots playing out in the background. This is very effective in this type of book because it allows the main story of Shawn, Breanna, Pete, Sadie, and the mystery women to play out; while other mysteries and happenings simmer in the background until there is a lull in the main story. 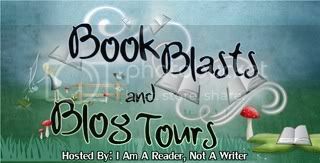 There is never a chance for boredom because of this style of writing and Josi does a wonderful job of keeping her story balanced and easy to follow. Having come in on the tale end of this series, I must say that "Baked Alaska" is not a stand alone read. It becomes quite clear early on that there are things that those who have not read previous books are missing out on, as far as back story is concerned. This is most expressed in the character of Shawn.